Congratulations to Vivien! She won a copy of Don Carey's tropical fun book, Bumpy Landings! Thanks to everyone who participated in The 2011 Book Blogger's Cookbook! Christy and her friends don't mean to witness the murder of a senator's aide in Watched by Cindy Hogan, but when terrorists see them, they begin to chase the teens. If Christy could have stopped to make dessert, she surely would have picked this quick ice cream topping with its small list of ingredients and quick burst of (dare I say it?) healthy potassium. The sweet caramel combines with the bananas to make a mouth exploding concoction. In a medium saucepan on medium heat, melt the butter. Add the sugar and stir until dissolved. Slice the bananas, and add them to the caramel sauce. Serve over ice cream. Serves 6. Christy and her friends are on the go in Washington D.C. from the moment you turn the first page of Watched by Cindy Hogan. She never has time for dessert; if she did the recipe would have to be quick and easy (with some fruit thrown in to keep her energy up) like this three-ingredient ice cream topping. In a medium saucepan on medium heat, melt the butter. Add the sugar and stir until dissolved. Slice the bananas and add them to the caramel sauce. Serve over ice cream. Serves 6. Watched by Cindy Hogan is a debut novel. Originally posted on Amazon as an ebook, Cindy's novel was a finalist in Amazon's Breakthrough Novel Award Contest. Watched is now available in Costco, Barnes and Noble and other bookstores. I am excited to introduce you to Watched because Cindy lives near me. I have to admit that I am always a bit leary of ebooks, (sad, I know, because I am also an Indie author) but you never know what the quality is going to be. I got sucked into the story right away and enjoyed how sensitive the author was to teen issues. The backdrop for Watched is Washington D.C. where a high school student witnesses a violent act of terrorism. I love being taken places that I want to visit someday and Washington D.C. is on the list. The setting and the political background is a nice change of pace for me. I do wish that the teens would have explored more of the monuments and museums that are hot tourist spots. The book is a clean read with mild kissing and swearing is only referenced, not spelled out. 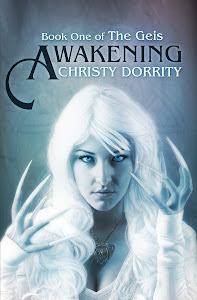 I related to Christy right away (and not just because we share an awesome name). She is trying to figure out who she is and how to act so that people will like her and overlook her past braininess (is that a word?). Her character arc is effective and by the end I was cheering for her ability to integrate her new Washington D.C. self with the brainy self she was trying to escape. She changes socially, emotionally and physically. The cast of characters in Watched is well fleshed out and I enjoyed the time the gang spends together. I like both love interests, Alex and Rick but Christy's flippant attitude about the two boys bugs me. I suppose a lot of teens act selfishly when they first start to date, but I feel bad for the boys and distanced myself from Christy a bit because of it. I can't quite understand where the author is going with the no dating before 16 rule. I understand the idea of no dating before 16 (and followed it myself), but Christy didn't seem to understand why (after all she kisses guys before 16) and it made her out to be rebellious where I don't think Cindy meant her to be. The internal dialogue iswell done and Cindy has a knack for getting into the character's head. There were times that the dialogue went on too long for my tastes and felt a bit dumbed down, but for the most part it helps push the plot forward. The Verdict: Watched is a political thriller that will have you routing for the inexperienced teens who escape terrorists in the nation's capital and in the process find themselves. Winners!!! Kindle and copies of The 2011 Book Blogger's Cookbook! Thanks to everyone who participated in The 2011 Book Blogger's Cookbook launch tour! Thanks to all 22 bloggers and authors who reviewed and interviewed and highlighted recipes. What a party! Now are you ready? One lucky person is going to win a brand new Kindle!!!! Drum roll please.... our winner is Linda Kish from her entry on Sonia Gensler's post. Congratulations!!! I'll be in touch with the winners today. Today is the last day of The 2011 Book Blogger's Cookbook launch tour. The cookbook is on sale right now for .99 on Amazon. We are finishing up the tour with not just one stop but two--at two great book blogging sites. Suey is a book blogger at It's All About Books whom I met at a local book blogging get together. She is reviewing the cookbook and highlighting two chocolate recipes, with photos of her and her daughter making them. Chrystal at Snowdrop Dreams is celebrating her first Blogoversary! Congrats Chrystal. As part of the festivities, Chrystal is giving away a copy of the BBCookbook! Today is also the last day to enter the Kindle giveaway. Enter to win by commenting on my launch post and get extra entries for commenting on the posts of each blog on the tour, including Suey and Chrystal's. What a fun virtual tour this has been. Thanks to all of you wonderful bloggers and authors who helped me launch The 2011 Book Blogger's Cookbook! Shortbread and Custard...and a Kindle, oh my! Stella at Ex Libris isn't just talking up The 2011 Book Blogger's Cookbook today--she's shouting it. Not only did she review the cookbook, she also tried one of the recipes and is highlighting not one, but two recipes. The fun part is, both of the recipes which are from the cookbook go together nicely for a refreshing summer dessert. Stella also allowed me to guest blog about the recipe "Scarborough Fair Shortbread", the companion recipe to Impossible by Nancy Werlin. Hop over to Stella's blog to find out what recipe I first had in mind for Werlin's novel. Wednesday is the last day to enter to win a Kindle and copies of the cookbook. Comment on Stella's post (either one) and then check the tour schedule to visit all of the participating blogs and get lots of entries! The launch of The 2011 Book Blogger's Cookbook has been such a blast and so many wonderful people have helped me celebrate its release. There are three more days of the launch tour and we have some fun things going on. Today Kathy from Read This Instead is reviewing the cookbook and posted an interview with yours truly. Find out who my favorite fictional chef is. Also, enter to win a copy of Bumpy Landings by Don Carey. Wednesday is the last day to enter to win a Kindle and copies of the cookbook. Comment on Kathy's post and then check the tour schedule to visit all of the participating blogs and get lots of entries! This week is the last week of The 2011 Book Blogger's Cookbook. 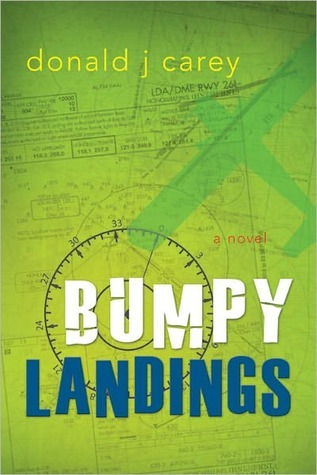 To start the week of right, I am giving away a copy of Bumpy Landings, thanks to its creator, Don Carey. Thanks Don! Read my review of Bumpy Landings here. To win a copy of this great summer read, simply comment on this post and leave your email address. Contest ends Friday, July 22nd. As a bonus, every entry is also entered into a giveaway for a Kindle! No joking! As a part of The 2011 Book Blogger's Cookboook launch tour I am giving away a free Kindle. The Kindle contest ends this coming Thursday, July 21st. To visit all of the great authors, book bloggers and sites who have participated in the great launch, go here. Tristi Pinkston is reviewing The 2011 Book Blogger's Cookbook today on her blog. She's such a fun person and if you haven't had the chance to meet her, go right now to her blog and I'll wait. I'm serious--get over there now and check out the many resources she has for writers. 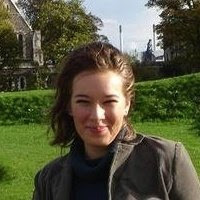 Tristi is an author, an editor, a book reviewer and a launch tour director. Seriously--don't you just love book people? "Tristi Pinkston, LDS Author, is a resource for readers who want the best in entertainment and for writers who are seeking to hone their skills. I review clean literature I can hold up as an example of fine craftsmanship." Don't forget to leave a comment on Tristi's blog. For every mention of the post, you can leave a separate comment and be entered to win a Kindle. And everyone who purchases the cookbook during the launch will get a free bonus recipe book. For more information click here. LDS Women's Book Review and "Organic Imprint Cookies"
Shanda at LDS Women's Book Review is blogging about The 2011 Book Blogger's Cookbook today. Head over to her blog and see why she wants to take up Irish dancing and have a sneak peak at "Organic Imprint Cookies", the companion recipe to Imprints by Rachel Ann Nunes. Shanda is so much fun. I've had a chance to meet her in person and she is the nicest person. I just love book people! "LDS Women's Book Review is dedicated to helping you find good reads that don't ask you to sacrifice your standards." Don't forget to leave a comment on LDS Women's Book Review. For every mention of the post, you can leave a separate comment and be entered to win a Kindle. And everyone who purchases the cookbook during the launch will get a free bonus recipe book. For more information click here. Eleni is reviewing The 2011 Book Blogger's Cookbook today at her YA book review blog La Femme Readers. She says she wants to make all of the recipes in the cookbook. Join her to see which recipe she wants to make first. 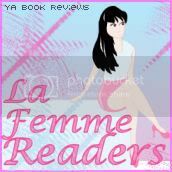 "La Femme Readers is a Young Adult book review blog. It consists of author interviews, fun giveaways and weekly up to date news on all the future YA releases. 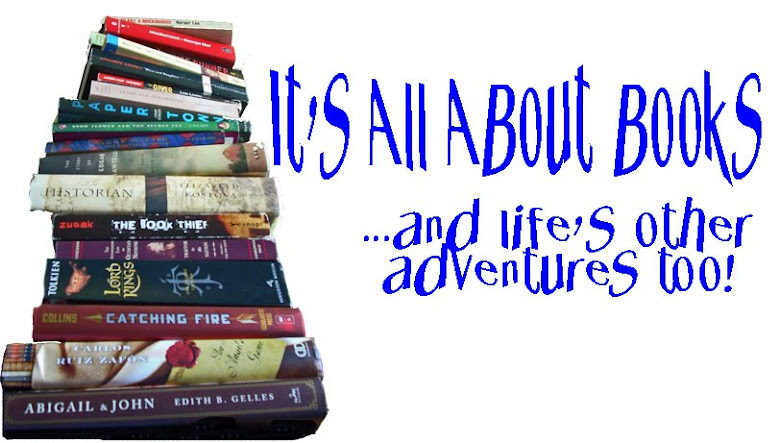 Reading is a gift, so I am happy to be part of the bookworm community." Don't forget to leave a comment on La Femme Readers. For every mention of the post, you can leave a separate comment and be entered to win a Kindle. And everyone who purchases the cookbook during the launch will get a free bonus recipe book. For more information click here. I'm guest blogging today at Cheryl's blog CMash Loves to Read. Come join me in discussing how bloggers are fast become a reference for readers. And don't forget to enter Cheryl's giveaway for a chance to win The 2011 Book Blogger's Cookbook. CMash Loves to Read is a virtual carousel of book reviews, author interviews, challenges and giveaways. It is just the type of book review site that I am talking about when I say that book reviewers are fast becoming a helpful reference for readers. Cheryl helps get the word out about books by providing author interviews and non-biased reviews for readers who are looking for good reads. Don't forget to leave a comment on CMash Loves to Read. For every mention of the post, you can leave a separate comment and be entered to win a Kindle. And everyone who purchases the cookbook during the launch will get a free bonus recipe book. For more information click here. Congratulations to the winner of The 2011 Book Blogger's Cookbook! SpadesHigh won a free copy of the cookbook in the Freedom Giveaway Hop. Welcome to all of the new friends who joined my blog on the hop! Today Tynga at Tynga's Reviews is highlighting a recipe from The 2011 Book Blogger's Cookbook. Tynga is one of the bloggers featured in the cookbook and she blurbed about Wings by Aprilynne Pike. Head on over to Tynga's blog to preview the recipe and make some yummy "Fear-Faire Lavendar Custard"--just in time for summer. "Tynga's Reviews is a playground for all Paranormal Lovers. You will find Paranormal Romance, Urban Fantasy, YA Fantasy and even the occasional Dystopian and Steampunk novel. Reviews, Bookish news, Interviews, Guest Posts, Giveaways & Contests, I'm sure you'll find all you need to know!" Don't forget to leave a comment on Tynga's Reviews. For every mention of the post, you can leave a separate comment and be entered to win a Kindle. And everyone who purchases the cookbook during the launch will get a free bonus recipe book. For more information click here. Kim at The Book Butterfly is talking about The 2011 Book Blogger's Cookbook today over on her blog. Kim has a fabulous site (don't you just love the cute little book butterfly?) with reviews and author interviews and great giveaways. "The Book Butterfly is a book blog for those who love and appreciate Young Adult literature, particularly those books with paranormal appeal. Whether you're a young adult or just young at heart, stop by to learn more about your favorite books, the authors behind the story and new books on the horizon." Don't forget to leave a comment on The Book Butterfly. For every mention of the post, you can leave a separate comment and be entered to win a Kindle. And everyone who purchases the cookbook during the launch will get a free bonus recipe book. For more information click here. Laura at Tattooed Books interviewed me today on her blog. Skeedadle over to Tattooed Books and hear what I love about the blogging community and which recipe from The 2011 Book Blogger's Cookbook is perfect to make in the summertime. You have to check out Tattooed Books, even if only to see what a beautiful site Laura has created. Seriously, it's gorgeous. Plus, Laura raves about the mouth-watering "Fairy Touched Calico Brownies". Don't forget to leave a comment on Tattooed Books. For every mention of the post, you can leave a separate comment and be entered to win a Kindle. And everyone who purchases the cookbook during the launch will get a free bonus recipe book. For more information click here. 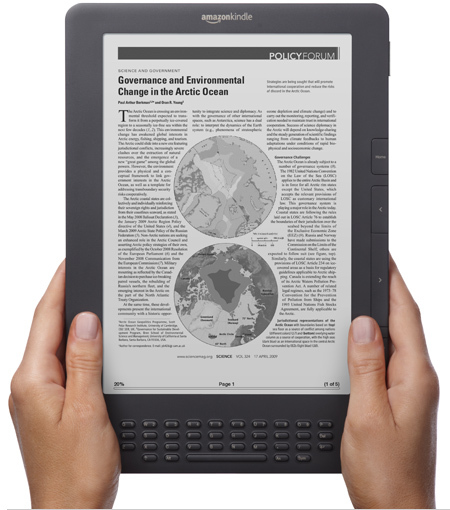 If you have been wanting to get a Kindle, now's your chance. Each person who comments on any of the blog posts in the blog tour will be entered to win a Kindle! And everyone who purchases the cookbook during the launch will get a free bonus recipe book. For more information click here. I met Susan from Bloggin' 'bout Books at the LDSStorymaker's Conference this year. We got talking and realized that she was included as a blogger in my cookbook and that we had met each other through email. Such a small world! "Bloggin' 'bout Books offers honest, tell-it-like-it-is reviews of all kinds of books. From thick, family sagas to gritty dystopians to hard-hitting memoirs - it's all here. Each review includes a "grade," along with movie-like ratings to help you decide which reads are for you and which aren't. If you're looking for more than just reviews (like, say, author interviews, giveaways and other bookish goodness), you're in luck. BBB has that, too. If you're a reader, you've just found your new home on the 'net. Welcome!" Susan is reviewing the cookbook today. Head on over and check out her blog! Some of you have mentioned that you would like more ways to qualify for the Kindle giveaway. Here's your chance. Every person who purchases the cookbook (only $2.99) on Amazon and emails me the answer to the following easy question to dearestdreams at gmail dot com gets an additional 10 entries into the contest (please don't post the answer in the comments). Amazing right? All previous entries still count. On July 22nd I will announce the lucky winner. In The 2011 Book Blogger's Cookbook, who's review blurb is this: "The Clockwork Three...mixes a whole bunch of genres to create a thrilling ride sure to capture the imaginations of readers of all ages." As part of The 2011 Book Blogger's Cookbook launch, I am participating in a blog hop. 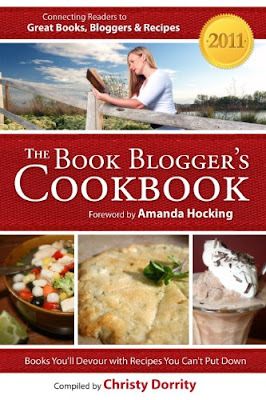 Win a copy of The 2011 Book Blogger's Cookbook. Open to all readers, national and international. Simply follow me if you don't already and leave me a comment with your email address. Please note that this is an ebook, available on Amazon and readable on e-readers as well as Kindle for MAC and PC. Don't have an e-reader? Than you are in luck! Visit one or more stop on the launch tour and follow the instructions to enter to win your very own Kindle! Not the kind with ads, either. Please note that a comment on this blog hop post does NOT qualify you for the Kindle giveaway. Make sure to check out all of the other great blogs who are giving away book related stuff!